Today’s guest blogger, Ron Reyes, blogs about his father, also Ron Reyes, who was killed in action at Khe Sanh on March 30, 1968, a date of some importance to the men of BRAVO! This is part one of a multiple blog story. I was born February 28th, 1968. My father, Private First Class Ronnie (Baby Sanh) Reyes was killed March 30th 1968; he was 19. That is where my story starts. I have always wondered who my dad was. I saw the pictures, heard the stories, but I never knew him. I had a pretty good idea who he was before he left. In fact, every time I got in trouble I heard, “Aye, Ronnie, you’re just like your dad,” but I had no clue who he was the day he was killed. In fact, no one did except his fellow Marines—his brothers. My mother Elaine always made sure that she answered any question I asked. She wanted me to know as much as possible. I studied everything about Vietnam. I looked at maps, interviewed soldiers from all branches. I watched every special. Every time I went to the library in school I would check out books about Vietnam. 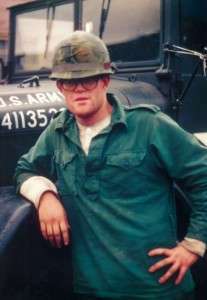 I was very interested in Khe Sanh; the only information I had about my dad was that he was there. This was something I needed to know. I searched out information all through school and into my late 20’s. That all changed on June 5, 1995, the day my daughter Danielle was born. I couldn’t believe it; I was a dad. I thought that was the coolest thing because I grew up without a dad. It was a strange feeling. I was so excited about my first child being born and at the same time at peace with my father. I realized I wasn’t going to find out about my dad, and decided it was okay. The Vietnam Veterans Memorial in Washington, DC, is very powerful. I hear it is very powerful. Everybody I know who has been to the Wall has brought me back a rubbing. I must have about 15 of them. Every time I get one, I do the same thing: research. I received a rubbing in the fall of 1998. My research technique had changed. I’d just bought a new computer, and decided to try the World Wide Web. I was armed with one more piece of info at this point. About a year earlier I had visited my dad’s gravesite, just like I did on most Memorial Days when I was a little kid. I always read my dad’s name. 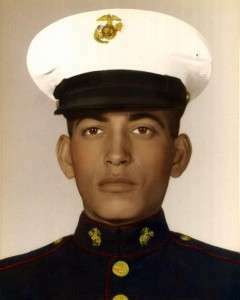 PFC Ronald R. Reyes. This time I paid more attention to what the rest of the headstone said. CO D, 9 MAR, 3 MAR DIV. I had the day of his death (03/30/1968), the place that he was killed (Khe Sanh), the fact that he was a Marine, and now my first clue. I searched the Internet. Several hours later I found what I needed. I found a page that listed my father KIA with additional info. He was in Delta Company, 1st Battalion, 9th Marines, the Walking Dead. This was very exciting but didn’t mean much to me yet. I started researching the 1/9. Back to the Internet. I took the information that I had and kept digging. I found an early version of the Khe Sanh Veterans site. In the site I found about 80 e-mail addresses. Out of that 80, I found 5 who served with D/1/9. I sent out a brief e-mail to all 5. I didn’t expect much, but was hopeful. That was on a Wednesday. What I didn’t know was that the New Orleans reunion was taking place that weekend. The weekend passed and I didn’t think much about it. MCRD Recruit Platoon 124, Ron “Baby Sanh” Reyes’ outfit. Photo courtesy of Ron Reyes. Tuesday night my phone rang. I answered the phone, and the voice on the other end said, “Is this Ron Reyes?” “Yes it is, I said.” His response was, “My name is Eddie and I knew your father,” then silence. I wasn’t sure about what to say and Eddie wasn’t either. Could it be that after 30 years I was going to get the information I’d always wanted? I didn’t know if I wanted to hear whatever was waiting on the other end of the line. 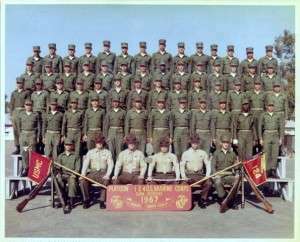 “I was with your dad at Camp Pendleton and in Vietnam.” It turns out Eddie “Archie” Arcienega was with 2nd Platoon, D/1/9. My father was with Weapons. He told me how my dad had taken him back home to visit his parents (my grandparents). In Vietnam, Eddie told me, Ronnie would always check up on him and make sure he had everything he needed up front. He was a good Marine. I talked to Eddie for an hour. We talked about a lot of things. I got off the phone and told my wife, called my Mom, e-mailed some friends. I had to tell everyone except Pasqual and Ramona Reyes, my grandparents. What was I going to say to them? Ronnie was the oldest of 4 kids, a leader in the family. My grandfather served with the Army in WWII. He fought from Italy into France where he was captured on his way to the Battle of the Bulge. He is a Bronze Star Recipient. The prison camp couldn’t break him, but the death of his firstborn son devastated him. I would have to think about how I would let them know the news. Wednesday night my phone rang. My wife Lori picked up the phone. She said it was “somebody named Pete who knew your dad.” This time I couldn’t wait to talk. It was a lot harder for Pete to gather his words than it had been for Eddie. Maybe it was because Eddie knew my dad had died, and on what day, but Pete Mestas went home that same day and was in a VA hospital for a couple of years. He didn’t find out my father was dead until he visited the Wall a few years before this call. He was looking for the names of the Marines that he knew died that day. Then he saw my father’s name. 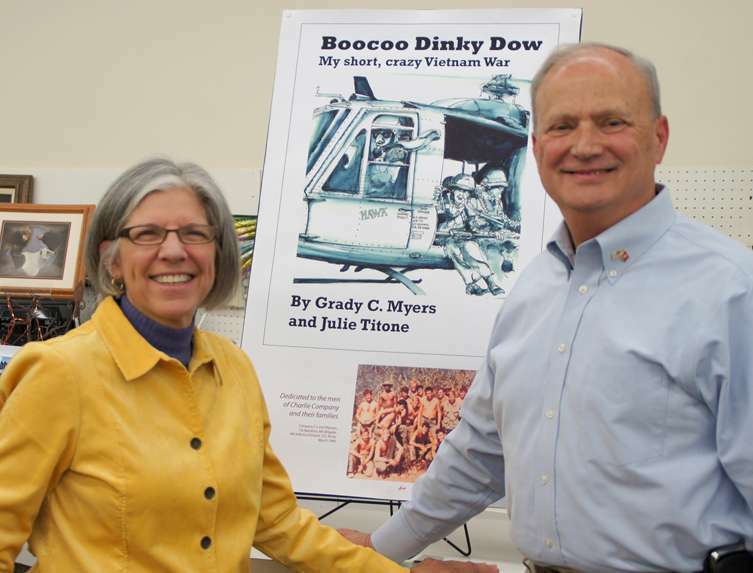 I had always heard the story of how my father was hit by a mortar as he went to retrieve his buddy who was hit. I wanted to embrace the story, but understood that families like to think the best always. Pete was about to fill me in. He was in Weapons with my dad. Pete said they called my dad Baby Sanh because they knew his girlfriend was pregnant. He asked me what I knew about Vietnam, the Tet Offensive, Con Thien, and Khe Sanh. I told him I had studied it, and had the map of Vietnam tattooed in my mind. I knew my dad was in Khe Sanh. 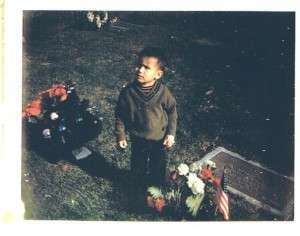 Guest blogger Ron Reyes at a young age, at his father’s grave. Photo courtesy of Ron Reyes. Next week, Ron continues with his story about searching for clues about who his father was and his resultant journey. Ron Reyes lives in Moorpark, California. He has been married to his wife Lori for 23 years and is the father of 2. His son Ronnie is a junior in high school. His daughter Danielle is a junior in college and lives just 2 blocks north of the Vietnam Veterans Memorial in Washington, DC. Early in each year, my mind turns to events that happened forty-six years back at the Khe Sanh Combat Base in Vietnam. During the seventy-seven day siege that began on January 21, 1968, certain events ensued that are permanently emblazoned in my memory. 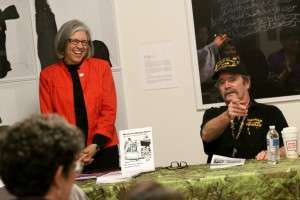 One of the most memorable—and for me, disastrous—events that occurred out of a litany of disastrous events is what has come to be called the “Ghost Patrol” that happened on February 25th, 1968, when the Third Platoon, Bravo Company, 1/26, went outside the Khe Sanh Combat Base on a patrol that turned into a catastrophe. 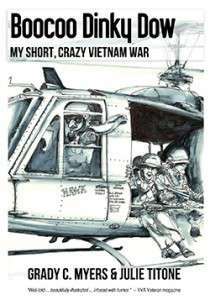 The patrol, somewhere around fifty-four Marines and Navy Corpsmen, was ambushed by a much larger unit of the North Vietnamese Army, and twenty-seven Marines were KIA and a large number were WIA. For years we thought the count of KIAs was twenty-eight, but one Marine surprised us in 1973 when he showed up among the other 590 POWs freed from incarceration in the North Vietnamese prisoner of war camps. Another one of the men on that patrol received serious facial wounds but survived, got back into the combat base and was medevaced out, eventually making it back to the States and then medically retired from the Marine Corps. Military doctors created a new face for this Marine, but more was damaged than the his body, and in the mid-1970s, he committed suicide. In the last few years, one of this Marine’s Khe Sanh brothers, Seabee Mike Preston, set about to get that man’s name etched into the Vietnam Veterans Memorial (The Wall) on the National Mall in Washington, DC. Even though this Marine was not technically killed in action in Vietnam, many of the Khe Sanh veterans felt strongly that the man’s death eight years later was a result of his wounds received on 25 February 1968. Mike Preston, who has a great deal of experience helping veterans, spent forty-five months working with attorneys (including the casualty section at USMC Quantico who encouraged Mike during his efforts), other veterans, medical personnel, doctors and the VA in attempts to see to it that the Marine would be properly honored as he deserved. 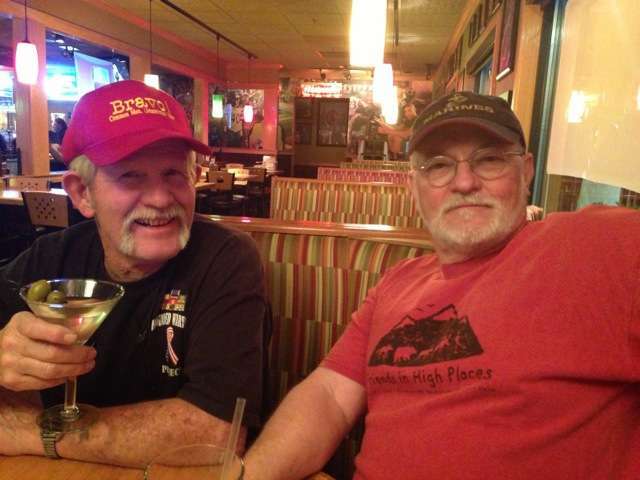 Last November, over tacos in the Sierra foothills town of Jackson, California, Mike, Betty and I talked about Mike’s plight to honor the Vietnam veteran, specifically this Marine who was wounded on 25 February 1968. After his forty-five months of effort and sweat and rage at the system that sometimes makes it so damned hard to honor those who fight for this country, Mike received information about this Marine that negated all reasonable attempts to get his name on The Wall, which would have raised the number of recognized combat deaths from 58,286 to 58,287. Even though this man had a clean record while in the Marine Corps, even though he’d been a real gunfighter who showed up whenever the manure hit the fan, even though he had gotten his brothers’ backs when they needed him, he will ultimately not be honored on The Wall as a casualty of the Vietnam War. All along, Mike’s premise was that the war made this man what he had become and ultimately made him a casualty, even though the war had been over for three years by the time of his suicide. After his nearly four-year effort, Mike finally got a look at the man’s records. He found out that this Marine had a history of problems prior to his service in the Corps that would have prevented his attempts to even enlist in the USMC in the first place if the authorities had known about them. He also had a history of mental problems and drug abuse after his discharge, so claiming that the war forced him to terminate his own life became impossible to prove. Mike says that the memorial fund he helped found in the name of this Marine paid for, and had placed on his grave, a military headstone that was due him from the country he served. Mike wishes to thank Mr. Bill Jayne, a BRAVO! Marine, who before retirement was with the National Cemetery Administration for the US Department of Veterans Affairs. Bill helped facilitate the purchase of the headstone. Semper Fidelis, Bill Jayne. Mike also thinks the Marine Corps deserves a compliment because in just a matter of weeks they helped this individual perform honorably under what could be, at the very least, termed as trying circumstances. Civilian society, for whatever reason, could not do this.